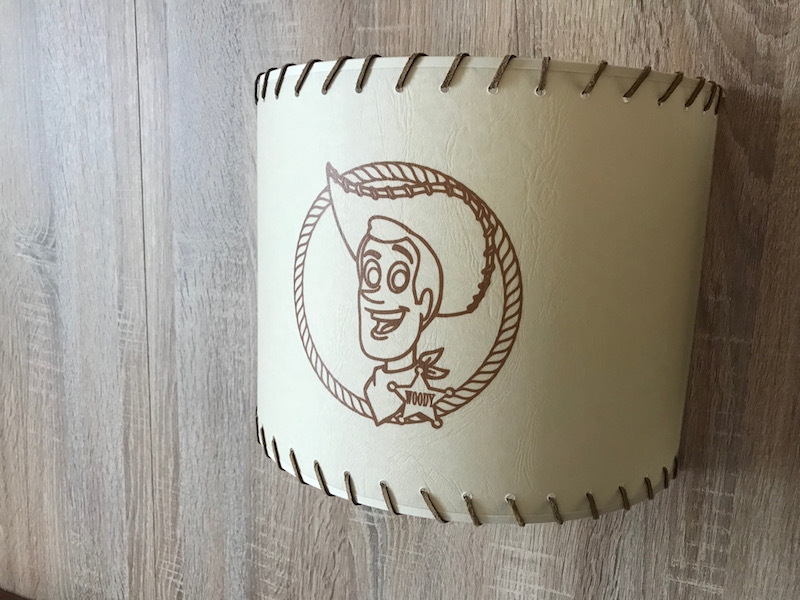 When it came time to book a recent trip to Disneyland Paris, we knew there was only one hotel we were interested in trying—Disney’s Hotel Cheyenne. We had high expectations for this “budget” option. Read on to find out if it lived up to our dreams! Disneyland Paris's Hotel Cheyenne is a “two-key” (the equivalent of a Walt Disney World value rating) hotel at Disneyland Paris. It is one of the eight hotels at Disneyland Paris that are operated by Disney. Nightly rates range from about $100 to $300 per night. Hotel Cheyenne is about a fifteen to twenty minute walk from the parks. That seems like a bit long, but really it's only about five to seven minutes longer than walking from Sequoia Lodge or Newport Bay Club, two more expensive Disneyland Paris hotels. There’s also a bus that takes you from the hotel to the park. We didn’t have a chance to ride it because ongoing construction at Disneyland Paris meant bus times were greatly slowed. Regardless, we just can’t imagine recommending the bus for people who are able to walk. 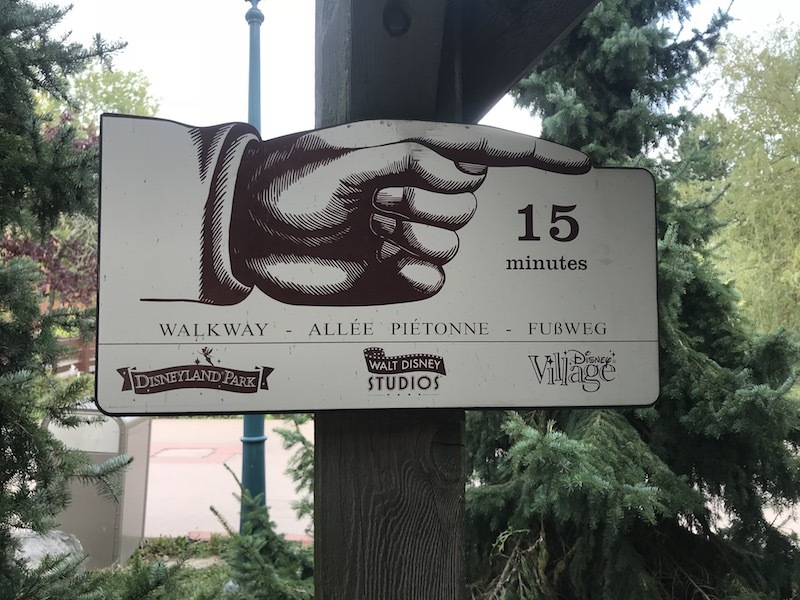 It’s a nice walk, not very long, and there’s just no way I’d trust Disneyland Paris’s operations and traffic management to get me to a park in a timely fashion. Hotel Cheyenne is laid out much like the Disney moderate/value resorts in Florida. There are multiple buildings of a few floors each scattered across the grounds. They layout is nowhere near as sprawling as those Florida resorts though, and any added travel time from having a far room is negligible. For this stay, we were fortunate that the best option was the easiest—booking directly through the Disneyland Paris website. Disneyland Paris had an ongoing deal of two free days/nights when you booked two nights or more, so we booked a five-day, four-night stay for the price of a three-day, two-night stay. Our total package for two adults, including park tickets, came out to $1002.12. Disneyland Paris often has tons of deals. These sorts of deals are not out of the norm for Disneyland Paris. Before we get on to how much we enjoyed Hotel Cheyenne, we would say without hesitation that if you’re looking to plan a first (not once-in-a-lifetime) visit to Disneyland Paris on a budget, we’d suggest finding a time with one of these deals and booking Hotel Cheyenne. Deals like the one we got are still available. If you’re booking outside deal season, remember that you can book the same hotel at Disneyland Paris at least three different ways, and we've seen examples where people save over $1000 booking one way versus another. We cover that in full in a post on booking Disneyland Paris visits. The reason we picked Hotel Cheyenne for this stay was in large part its theming. The hotel is themed around the frontier / Wild West, with different buildings being named after different legends of the west, like Annie Oakley and Wyatt Earp. When we last visited Disneyland Paris, we came by Hotel Cheyenne as part of our Disneyland Paris hotel bar crawl. We were immediately taken in by the hotel. Like other Disney hotels in the value range, Cheyenne is just a fun place to walk around. There aren't a ton of details like you'd get in the American hotels, but the grounds are a pleasure nonetheless. Reminder: Disneyland Paris operations are AWFUL. This is probably the most widely recognized negative aspect of Disneyland Paris. We knew this from our past trip, so we came in prepared. Upon arrival at 11:00AM, we were met with a check-in line that took an hour to get through. At times they had four people working, at times eight, but the line never really shrunk. I'm not sure what the issue was, and my conversation at the desk seemed to go faster than most. We shrugged it off ("DLP being DLP"), but for many it might be an unpleasant introduction to Disneyland Paris. 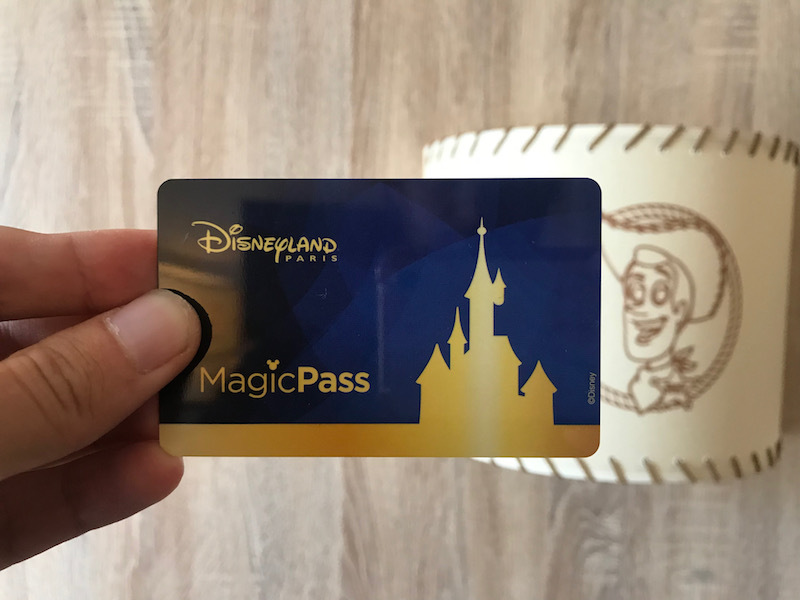 Disneyland Paris has started implementing a "MagicPass" system, where you have a plastic hotel key that contains your park tickets, hotel key, and (in some cases) charging capability. They MagicPass also allows you access to Extra Magic Hours. I didn't inquire about adding charging to my card as an American. The program is new, I was already delayed, and I didn't feel like dealing with it. We were assigned an Annie Oakley room, which the Cast Member at check-in told us we were "lucky" was ready. Hopefully Disneyland Paris finds a way to implement a speedier check-in process where you can just get your card and tickets before coming back for a room later. 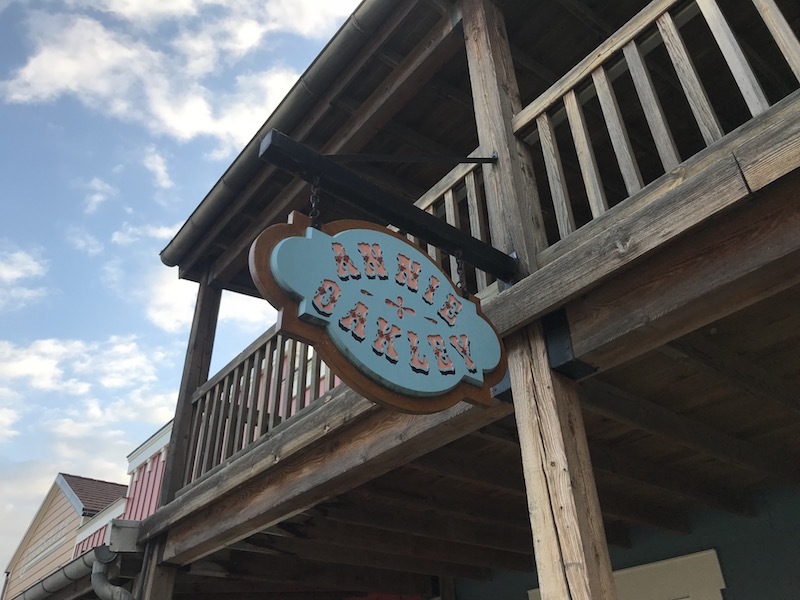 The Annie Oakley building is conveniently located in the middle of the property, across from the laundry building. Besides check-in, the ONLY thing we didn't like about Hotel Cheyenne was the building we were in. In a second we'll tell you about the room (which we loved), but the building itself was pretty crummy, with an old smell, a lot of dust, and worn wood and carpets (not in a themed way). Considering the only time we spent in the building was 15 seconds up the stairs and into our room, this isn't really a problem. The rooms went through a refurbishment recently, and it really shows. We LOVED our room at Hotel Cheyenne. The theme was basically Woody/Jessie from Toy Story. We didn’t have any complaints about the room. The bed was comfortable enough, but not anything to write home about. The shower was fine. There were a sufficient number of outlets, though only on one side of the bed. All-in-all this was a rare room that really just “wowed” us from when we arrive. Yea, it’s a cutesy, kiddie theme. But it’s very well executed. Hotel Cheyenne has a restaurant, Chuck Wagon Cafe, that offers buffets for breakfast and dinner. We passed on those, but the prices (€30 adult dinner, €16 adult continental breakfast) are on the low end of what you’ll pay for a full meal at Disneyland Paris. There is also the Red Garter Saloon, one of our favorite Disneyland Paris bars. Red Garter Saloon is (as its name suggests) a saloon-style bar. It has the same menu as the other Disneyland Paris hotel bars with a few saloon-specific offerings. We really enjoy the Saloon, and at its peak time (just after Disneyland Park closing) it has a nice crowd, though not above 50% capacity. There is indoor and outdoor seating, which makes is a fantastic spot to sit and watch the families coming back from the parks. Our only complaint is that the theming doesn't really extend beyond the structure itself. It was playing a football (soccer) game and tennis match while we were there, which were fun to watch but not on-theme. Similarly, the food offerings are limited to simple pizzas and other small bites. Last, but certainly not least, there is a Starbucks on-site at Hotel Cheyenne! 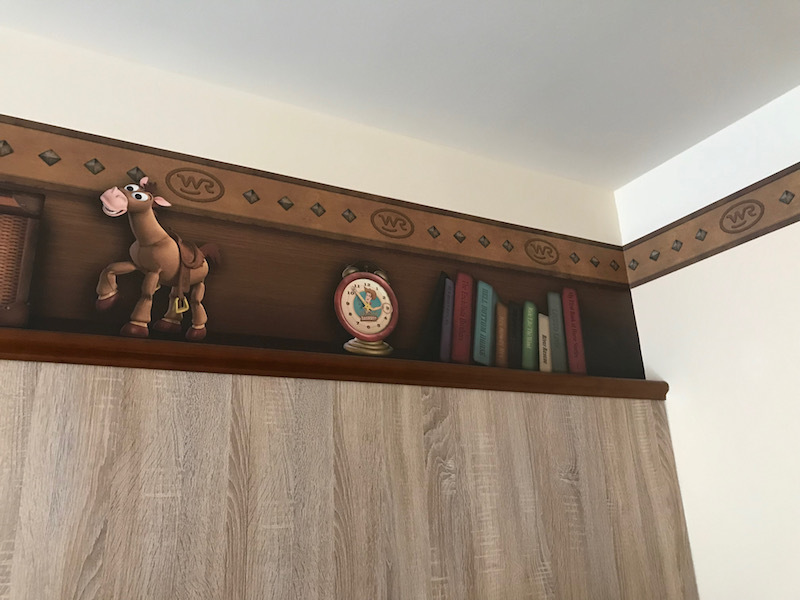 As far as we know this is the only Disneyland Paris hotel with this feature. We're not talking about some kiosk or "Proudly Brewing Starbucks" joint—this is a real Starbucks. Pumpkin Spice Lattes debuted in Paris on the last day of our stay, so we were happy to grab them on the way out. Word of caution, we think the prices might be higher than the one in Disney Village, but we never confirmed this. For whatever reason, we’re geeks for the energy of Disney’s value resorts. Even ignoring the low prices, Art of Animation and Pop Century are two of our favorite hotels at Walt Disney World. Disney’s Hotel Cheyenne fits this bill of being a fun place. There are some cute details scattered throughout the resort. Look, this isn’t Aulani, but it’s no slouch. 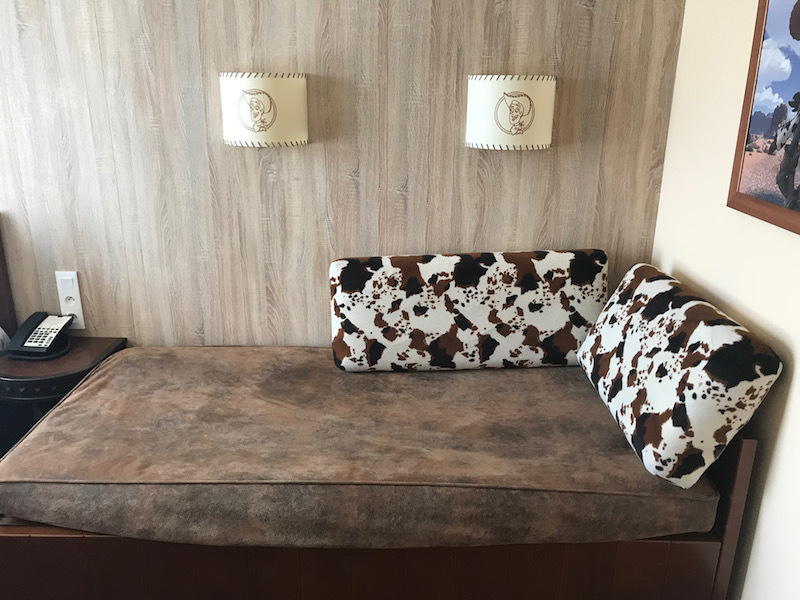 A lot of the details of the fancier hotels are a little lost on us (or they don’t exist), so it’s nice to have some straightforward fun details to check out. The layout of Hotel Cheyenne makes for amazing people-watching. Most of the buildings have patios, so people will often be found sitting outside their buildings, especially during the morning and evening hours. We went on a three-hour run in the morning hours and really enjoyed seeing everyone heading to the parks. At night, we grabbed a drink at Red Garter Saloon and sat outside, watching people come home and enjoyed the laughter of conversations taking place on nearby patios. We very highly recommend Disney’s Hotel Cheyenne. We've only stayed at two properties at Disneyland Paris (the other is Sequoia Lodge), but Hotel Cheyenne was a fantastic experience at an equally fantastic price. If we weren't in the business of reviewing more hotels, we probably wouldn't consider any of the other hotels for future visits.